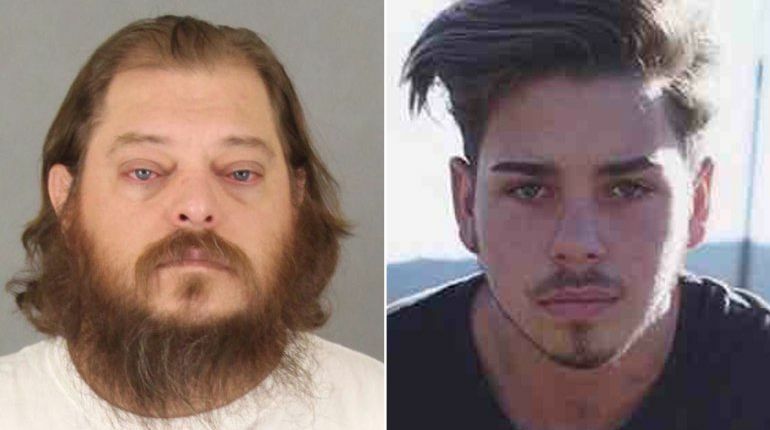 KTLA - "Left: James Fortney is seen in a booking photo released Nov. 30, 2017, by the Riverside County Sheriff’s Department. Right: Kevin Rodriguez is seen in a photo posted to a GoFundMe page." TEMECULA, Calif. -- (KTLA) -- A jury on Monday convicted a Temecula man of fatally stabbing a teen after picking a fight with him last year in a Walmart parking lot, then going on to threaten the victim’s girlfriend and film his dying moments on a cellphone, prosecutors said.